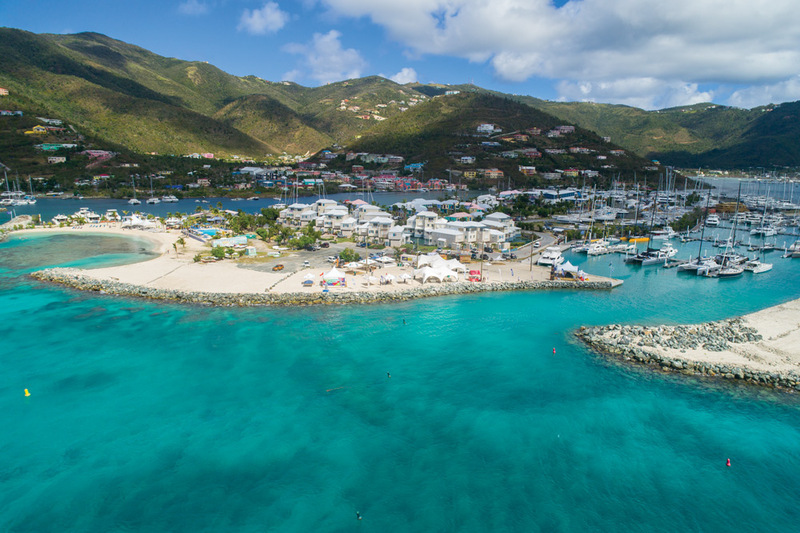 The fleet packs into its newly built outer harbor at Nanny Cay Marina, which is back in action after the hurricanes in fall 2017. In spite of the devastation, the BVI are still paradise. Pristine new buildings sit aside piles of rubble. Paraquita Bay made famous following the hurricane in the social media with its images of the jumble of boats is opening up. Shattered cars are interlaced with vines springing up through their carriages. The beep-beep-beep of heavy equipment punctuates the constant buzzing, sawing and hammering. Everywhere you look, ruin is juxtaposed with renewal. And everywhere there are swarms of butterflies, a small ivory army fluttering in their drunk-like stupor. There are few birds left, to prey on them; and the overgrown weeds that host their eggs and caterpillars go untouched these days. So it is relentlessly ‘snowing’ butterflies—a blizzard of bugs that to many symbolize change, hope and revival. Vist www.bvispringregatta.org for complete results and information on next year’s regatta to be held March 25 to 31, 2019.